A perfectly timed word or gesture from someone can be one of the most memorable gifts someone ever receives. It was for me. At a very difficult time in my life when more people were pulling away than drawing near, I received the most simple thing in the mail – a birthday card. I’m not sure the sender knew just what it meant, I’m sure my little “thank you” didn’t quite sum up the impact. It was 13 years ago, and the thought still makes me smile. I have wondered if they heard a whisper from God, a gentle nudging that I was in need of a kind word. I must admit that all too often I’m just too busy and absorbed in other things to notice those spirit nudges, or don’t do anything when I do hear them. We live in a loud world, to hear the whisper of God’s voice we must be able to recognize His voice above all others. Recognizing God’s voice requires being familiar with His voice. Being familiar with God’s voice only happens when we spend time with Him. To hear the quiet God whispers, we have to be listening for them, paying attention. And paying attention to those around us so we can notice when they are a little down, or not having a good day or just need a little encouragement. ​This month, as we are learning about being speakers of Gracious Words, we are reminded that it takes desire and purpose to speak with kindness and mercy. And today I want to share with you a way we can share Gracious Words – One Jar At A Time. 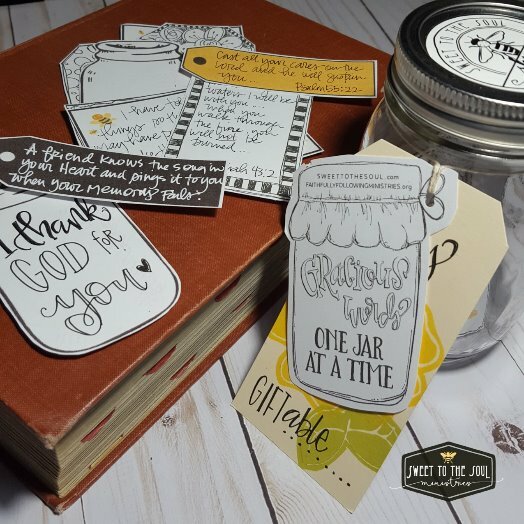 One Jar At A Time is an outreach ministry developed and implemented by our ministry partners Jodie and Donna over at Faithfully Following Ministries. ​Sometimes we just need to hear a word of encouragement or our hearts need to hear straight from God’s Word. So let’s fill some jars with Gracious Words and share them with our friends, family, co-workers or anyone you know to whom you can speak life and lift their hearts. I’ve put together this printable of blank cards which you can print as many times as you need. Simply print, color, cut and add your own gracious words. Maybe an encouraging quote or a special scripture. Fill the jar up with encouragement! And add a few sweets to go with your sweet words. Then give the gift of Gracious Words – One Jar At A Time. 1) Gather your jars – any size will do! 3) Print on card stock for best results and print as many copies as you need! 4) Paint or color the cards then add your own gracious words. Consider scriptures or encouraging quotes. 5) Cut out each card. 6) Add the cards to your jar along with any little goodies you want to include. 8) Then gift your joy jar full of gracious words! 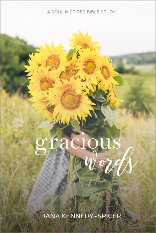 Looking for other ways to gift Gracious Words? This week I’m getting together with some friends to fill up several jars so we can gift gracious words to our friends and family. If you want to do the same, make as many copies of today’s printable as your group needs! Consider having your group fill their jars to gift to a special organization or group of individuals. Do you have some far away friends you would love to bless with your gracious words? Instead of filling an actual jar, just fill an envelope! Send them to someone who is separated from their family and needs to hear your gracious words of encouragement. Maybe even include their favorite goodie if you can – Jodie once sent a case of joy filled peanut butter overseas! A great way to brighten someone’s day is a surprise note in their lunch or backpack or computer bag. Add a special note of encouragement to bless their busy day especially if they are facing a challenging class or project. What joy it will give to them to open their bag and find your beautiful gracious words. When my girls were in high school, I would write out scripture and tape the cards to their bathroom mirror. I even do this to my own for memorization. A gracious note on the mirror is a great way for someone to start their day. It doesn’t have to be someone’s birthday to send them a card. Today we text more than talk and communicate more via social media than mail, it’s seems easier. So make someone feel even more special that you took the time to think about them and the extra time to write them a note and drop it in the mail. 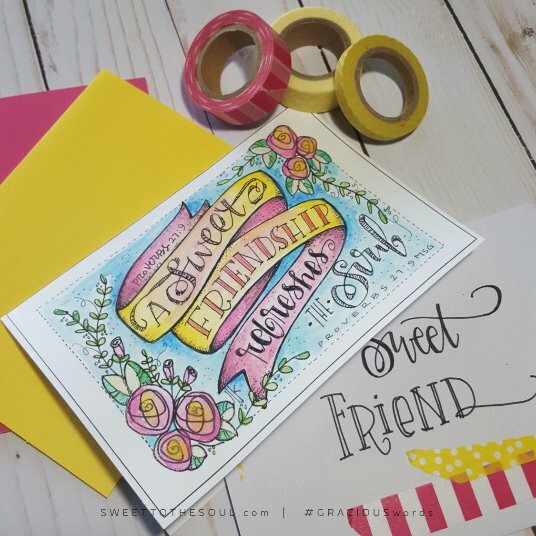 Use a post card or greeting card or use this Sweet Friendship printable to color and personalize for your friend. What other ways can you think of to spread joy and bless someone with gracious words? We would love to hear from you so join the convo below. 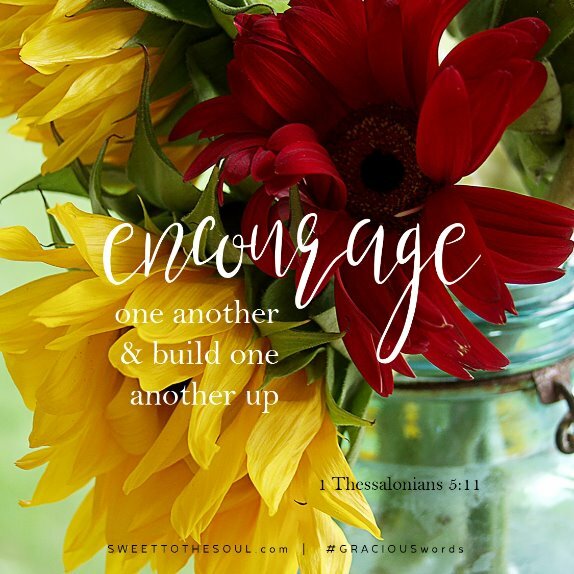 And post pictures of your Gracious Words & joyful One Jar At A Time gifts on social media and tag Sweet To The Soul and Faithfully Following, we would love to see and encourage others! Such a great idea,Jana.. May these jars bless many others! What a sweet way to bless someone!